Bunnies and vamps just don't mix! i am not sure if this has already been shared as I have recently returned to cc (Hi guys btw I'm *Shade*) but I wanted to share something i think is pretty cool on the topic of bunnies and vamps. When one is currently wearing a bunny pyjamas and then tries to wear a sub-vampire outfit, one gets a special message. This also works the other way around where trying to wear pjs on while wearing sub-vamps. 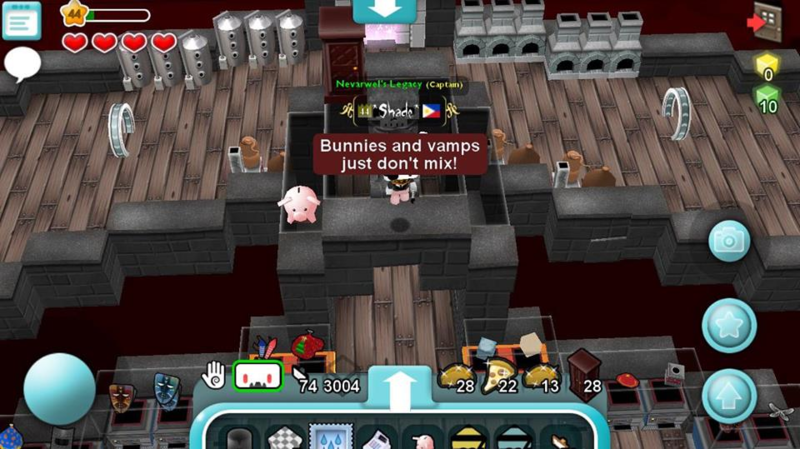 The message it shows when you do try, though, is the title OwO "Bunnies and vamps just don't mix!"